Establish a firm foundation for modern family living when you visit Leftwich Chapman Flooring America today. Our store has what you are looking for. Whether you are remodeling a bungalow or moving your family into a new ranch style home, our selection is sure to include something you need to make your project a success. 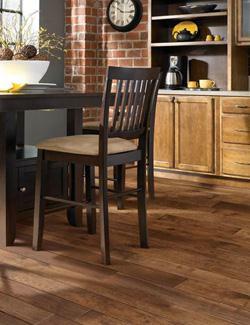 Visit our establishment to learn more about our selection of flooring in Lubbock, TX. Both residential and commercial customers can find the floors they need, along with personalized design assistance and installation by qualified professionals. We are ready to review your design plan and start identifying the products that fit with your existing décor. With so many options to choose from, you can quickly become overwhelmed without the focused assistance we provide. Enjoy design assistance, quality floor coverings, and reliable installation when you partner with a leader in this area. Our design experience and our installation training make us the smart choice when it comes to home improvement partners. Each type of flooring performs well in differing circumstances, so having a professional involved with your project can save you time and money. Contact us today for room design ideas and flooring that fits your life. We proudly serve customers in Lubbock, Levelland, Plainview, Seagraves, Littlefield, Texas, and surrounding communities.